Concentrated Solar Power (CSP) uses mirrors to reflect heat from the sun to one point, most typically the tow of a tower filler with a fluid (usually molten salt) capable of storing heat for prolonged periods then used to produce electricity. An alternative to the central tower is represented by curved mirrors concentrating the sun light in a suitable pipe that runs all the way from/to the storage accumulating heat while running in the plant. In both cases, the molted salts are heated up to 600 degree Celsius and transferred in a hot storage. The fluid so heated is used to produce high temperature/high pressure steam that is used to generate electricity by evolving in a steam turbine. The main benefit of this technology is that energy is easily stored and can be used at night when the source of heat (the sun) is absent. However, the popular photovoltaic modules are currently more cost effective and therefore preferred over the concentrated solar power plants. But now the situation can drastically change. Masdar Institute of Science and Technology’s scientists, indeed, have published a breakthrough research into more efficient solar power plants by using sand as vector fluid to transport and store energy. Named “Sandstock”, the research published at the Solar Power and Chemical Energy Systems Conference in South Africa in December 2015, showed sand can withstand temperatures of up to 1,000°C and the higher you can push the temperature, the more efficient the plant will be in generating electricity. The approach chosen by the researchers at Masdar Institute completely eliminates the most expensive components of the traditional CSP, the molten fluid and the pump system, by substituting it with sand and gravity. The design concept, which is inspired by a traditional sand hourglass, features a ‘cold tank,’ where sand is initially stored – before flowing into a ‘hot tank,’ located directly underneath. The cold tank will take the form of a hollow cylinder, designed to allow the concentrated solar flux to penetrate an empty central cylinder part. “Sand is really always a drawback in this country but in this project we wanted to use it as an advantage because it can withstand very high temperature, and of course it is very cheap here,” said Dr Nicolas Calvet, assistant professor of mechanical and materials engineering, and guide for the research project, as also reported by The National. “Photovoltaic is more popular because of more than 40 years of research, and the Chinese entering the market and driving prices down,” Dr Calvet said. The main costs for CSP are the reflective material, and whatever is used for heat transfer and storage. Dr Calvet and his students are using sand for the last two steps at almost no cost. “When you build a CSP plant you need to import usually several thousand tonnes of molten salts from Chile,” he said. This entry was posted in Abu Dhabi, Economy, Energy, Envionment, Mega Projects, Middle East, Must Know, News, United Arab Emirates, World and tagged Abu Dhabi, Go Green, Masdar Institute, Photovoltaic, Renewable Energy, Research, Sandstock, Science, Solar Power, Solar Thermodynamic Plant on February 21, 2016 by andreadetto. VAT and Corporate Tax in the UAE – Coming Soon! As already discussed few weeks ago, when we were wondering if the UAE was seriously considering to introduce VAT and Corporate Tax by the end of the year, the Gulf Cooperation Council Countries are currently finalizing their position to introduce the new taxation system. The disagreement between the Countries is all about the percentage to be implemented (rumors say 3 to 5% for VAT) and which products or services shall be exempted and not whether to introduce it or not. Therefore we just wait for the official announcement, foreseen to be released not before October as reported by the Emirates News Agency (WAM). This entry was posted in Abu Dhabi, Dubai, News, Tax, United Arab Emirates and tagged Abu Dhabi, Corporate Tax, dubai, GCC, news of the world, Tax, united arab emirates, VAT, WAM on August 19, 2015 by andreadetto. As already reported few days ago, the United Arab Emirates decided to gradually lift the subsidies that were significantly reducing the cost for the final costumers. The move was dictated by the need to diversify the Country economy by releasing an important amount from the budget and to promote a more eco-friendly approach with the hope to reduce the number of cars in circulation and encourage people to use less the car and more the public transportation. The switch from high consuming cars to hybrid or lower consuming ones shall take quite a long time to be effective. The average increase in the gasoline price is 25% whereas the Diesel price is going to be 29% cheaper in Dubai and 6% cheaper in Abu Dhabi as reported in the table published by Emirates24/7 few minutes ago. Commuters from Abu Dhabi to Dubai and vice versa and from/to Sharja are going to be the most penalized by the reform. Many of them already declared to have started considering carpooling in order to reduce the impact of the rise of the cost of gasoline as reported by GulfNews. 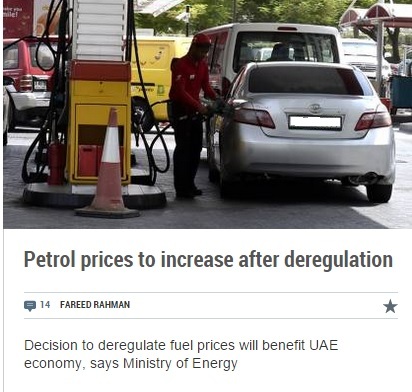 The intention of the Ministery is to remove completely the subsidies that for gasoline are around 1.20 AED per litre and bring the prices to the average world level, which currently is at 4.4 AED per litre. 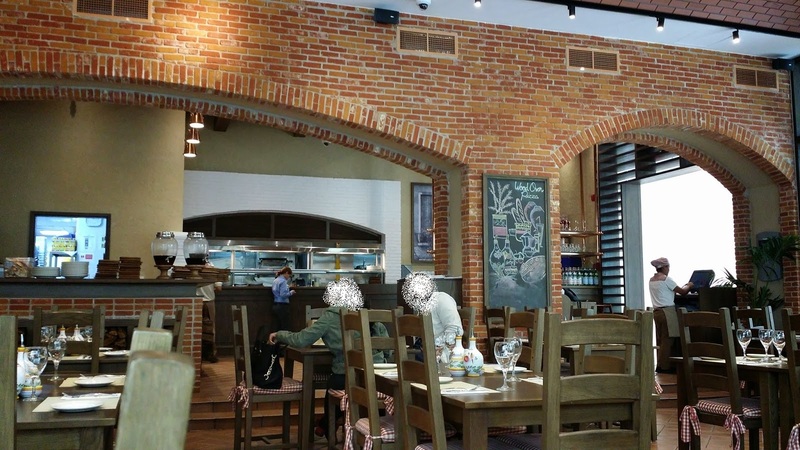 This entry was posted in Abu Dhabi, Dubai, News, United Arab Emirates and tagged Abu Dhabi, Cost of Living, dubai, Fuel, Inflation, News, news of the world, Price, Reform, united arab emirates on July 28, 2015 by andreadetto. It has been an “exciting” week in Dubai and the United Arab Emirates, not only for the festivities linked to the end of the Holy Month of Ramadan (the so called Eid Al-Fitr) but also for a series of shocking news that were reported on the most popular newspapers and websites and that I am going to summarize. We have already discussed about the possibility that the United Arab Emirates might introduce VAT and Corporate Tax in the last Quarter of this year. Needless to say that the residents are following closely the evolution of this issue, since is going to directly affect their future financial status. In addition to that, the Government has recently announced a major and revolutionary change in the fuel subsidies that will be reduced starting the 1st August 2015 in order to have the fuel price to be in line with the worldwide average price. Currently petrol is sold at 1.72 AED per litre (USD 0.47), significantly below the calculated average price of 4.44 AED per litre and current government innervation is calculated to be 1.2 AED per litre for a total of 3.5 Billion USD spent every year. The Government has established a dedicated committee to monitor the global prices and announce every 28th of the month the price that will be applied at pumps the following month. Analysts have predicted a bearable increase in the petrol price but a slight decrease of the diesel cost. The decision was “based on in-depth studies that fully demonstrate its long term economic, social and environmental impact. The resolution is in line with the strategic vision of the UAE government in diversifying sources of income, strengthening the economy and increasing its competitiveness in addition to building a strong economy that is not dependent on government subsidies” as stated by Suhail bin Mohammed Faraj Al Mazroui, Minister of Energy and reported by Khaleej Times. In the long term, this decision will discourage people from buying high-consuming cars and to be more prone to use the excellent public transportation system (Taxi, Metro, Tram, Bus and Monorail in Dubai) with a consequent significant benefit for the environment thanks to the reduced amount of carbon dioxide and pollution released in the atmosphere. Breaking News: Rain in the Fujairah and Ras Al Khaiman, probably artificially created! It can sound normal to experience some summer showers to the majority of us. However, here in the desert were drought can last several months, having rain in summer is a out of the ordinary event, especially in the mountainous area that divides the Arabian Gulf from the Indian Ocean. Some meteorologists say it is normal that the humidity accumulated in the atmosphere as consequence of the very high temperature, can coalesce to form rain drops. In any case, it is unusual and it gained the first page in many news papers and numerous videos and photos were shared on several social media in amazement like the video video from Masafi area @lovestory351 shared on Instagram online. The good thing is that the downpour had partially filled dams and reservoirs, guaranteeing a discrete water availability for the next months before the coming of the expected winter rains. Usually it rains once in November/December and once or twice in February and this is enough to guarantee the survival of the desert wildlife and to accumulate enough water to reduce the dependency on desalinated water, especially inland.Utilities-me.com has published a calculation that sees that a total of 48 million gallons of water were collected and stored in artificial lakes and dams with the consequent advantages. 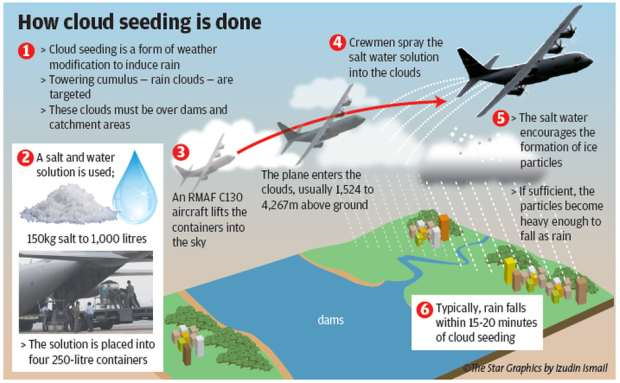 However, The National published an article that can explain the unusual downpour: a massive cloud seeding strategy is being implemented in the UAE. In its article, The National report: “As soon as they see some convective cloud formations, they launch us on a flight to investigate,” to try “to seed the cloud”, said Mark Newman, NCMS deputy chief pilot. The amount of water that the Emirate of Abu Dhabi could store after having successfully seeded clouds for 4 times in the past years, was comparable to the average desalinated output of 9 year operation of a medium size desalination plant, and it is much cheaper. In the UAE, the cloud seeding procedure is common and it is giving brilliant results. Here how it works – Image from Google Image. We already know that the United Arab Emirates, under the wise leadership of its rulers, is one of the most tolerant Country in the world. In the Emirates hundreds different nationalities find work and a source of income to sustain themselves and their family. Different cultures and religions are living in peace and harmony in this piece of land. In order to maintain this high standards of living and avoiding the spread of any seed of intolerance and hate as terrorist groups like Daesh (so called IS) are trying to do, a most welcomed Law has been recently promulgated. The new Law was issued against “any form of discrimination on the basis of religion, caste, creed, doctrine, race, colour or ethnic origin following a decree by the President His Highness Sheikh Khalifa bin Zayed Al Nahyan” as reported by Emirates24/7. The National reported the words of Sheikh Mohammed bin Rashid al Maktoum, Vice President and Ruler of Dubai, who said the law “guarantees the freedom of individuals from religious intolerance … and underpins the UAE’s policy of inclusiveness”. This entry was posted in Dubai, Middle East, News, Opinion, Science, United Arab Emirates and tagged Abu Dhabi, Artificial Rain, Breaking News, Cloud Seeding, dubai, Fuel Price, Fujeirah, news of the world, Subsidy, Tax, UAE anti discrimination Law on July 26, 2015 by andreadetto.